My daughter is off to Europe (High School Trip) and I usually make her a travel album. She is fanatical about recording in it, while she is on the trip. At first, I thought I would get her one of CTMH's my Crush books and the Wanderful PML Cards. And I have ordered her these, but I'm thinking that book, at 7x10 is a tad big to lug around Europe in your purse. So, I made a mini travel journal. you will have adhesive right to the edge of your paper. This gets rid of that "bulky" paper build up. 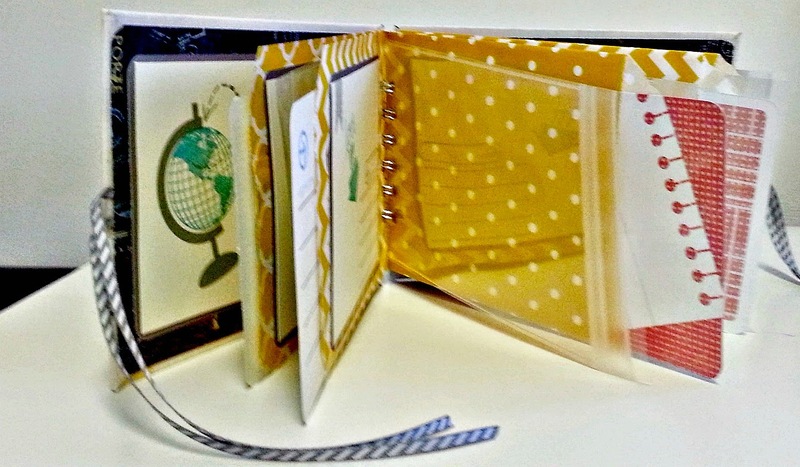 Then use a Bind-it All machine to punch holes in the cover. This next step is optional, but I wanted the album to tie close so things wouldn't fall out. I left the 1/2 inch gap, because that is the size of "Owire" I was using to bind the album together. If you were using a 1" Owire, I would leave a 1" gap. And finally cut 2-- 4 1/2" x 6 1/2" pieces of patterned paper (rounded corners) to finish the inside of the covers. As you can see from the photo below. The patterned paper covers all of your seams. 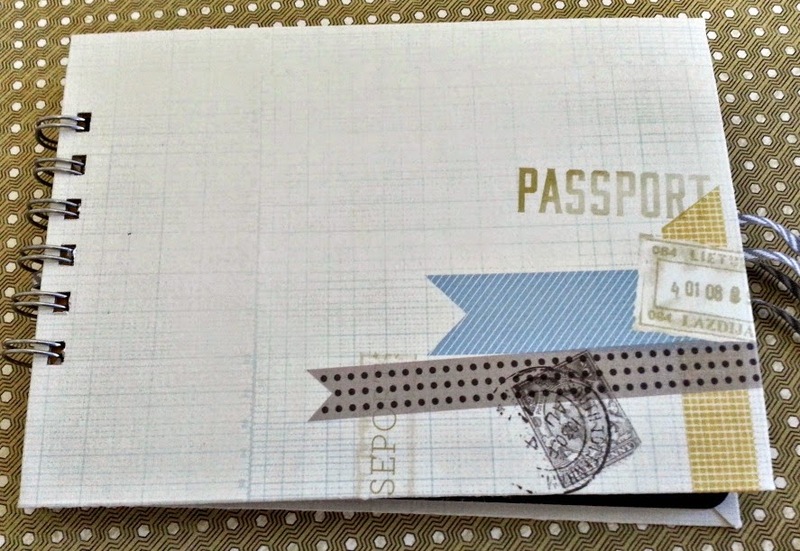 Since this is a travel journal/album, and she will be carting it around with her. I have left it very flat.